Jake Tjapaltjarri James was born around 1970 near Kiwirrkura in Western Australia's Gibson Desert. 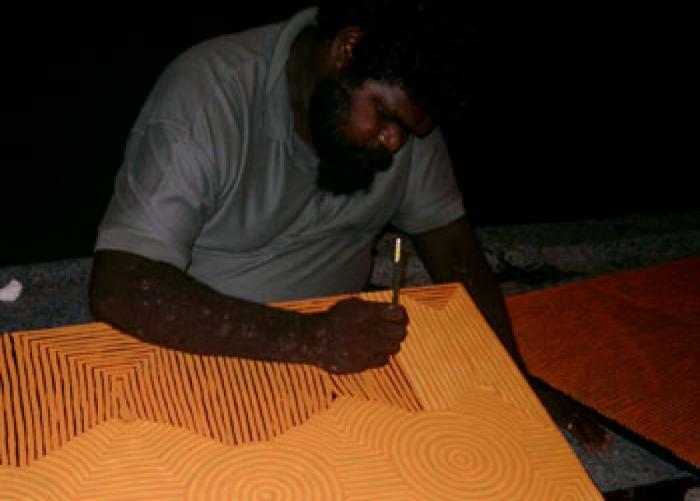 He is the son of highly acclaimed Western Desert artist George "Hairbrush" Tjungurrayi and it was his influence which inspired Jake to begin painting. Like his father, Jake's paintings include depictions of sacred sites associated with the Tingari Cycle. These sites are situated along the early journey paths of the Tingari Ancestors. These paths shaped the landscape of Jake's homelands. The level of detail and aesthetic appeal of Jake's work ensure that his potential is garnering increasing attention.